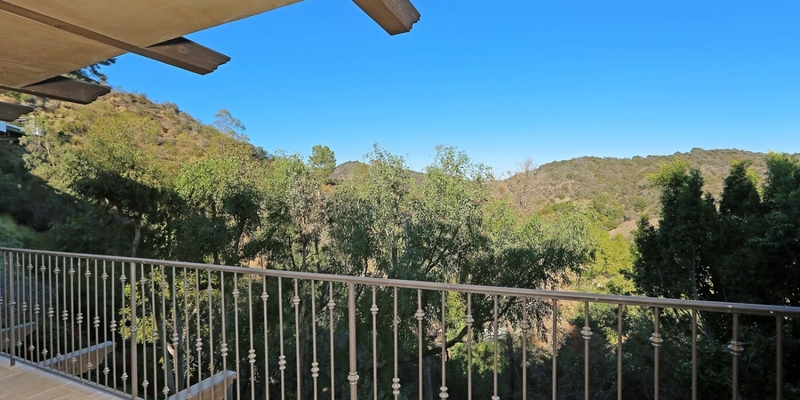 1714 Bel Air Road for Lease for $11,000 per month. 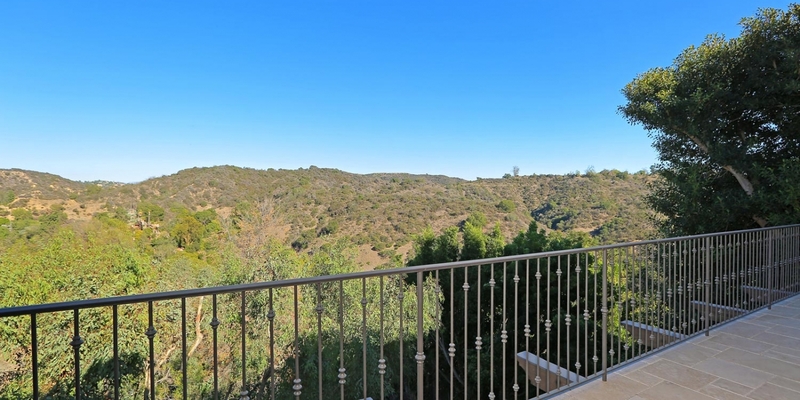 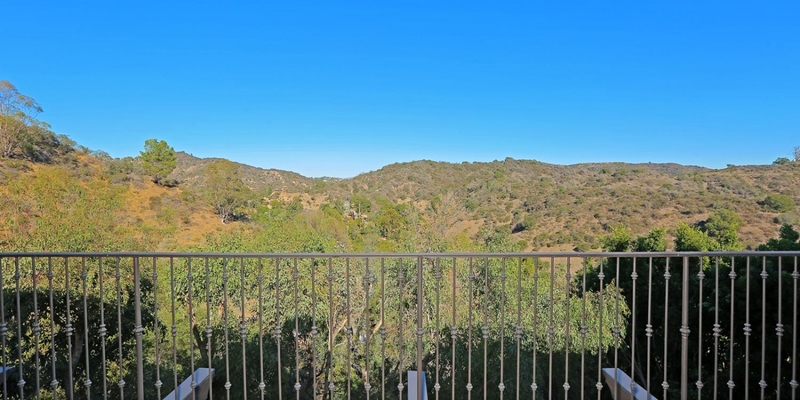 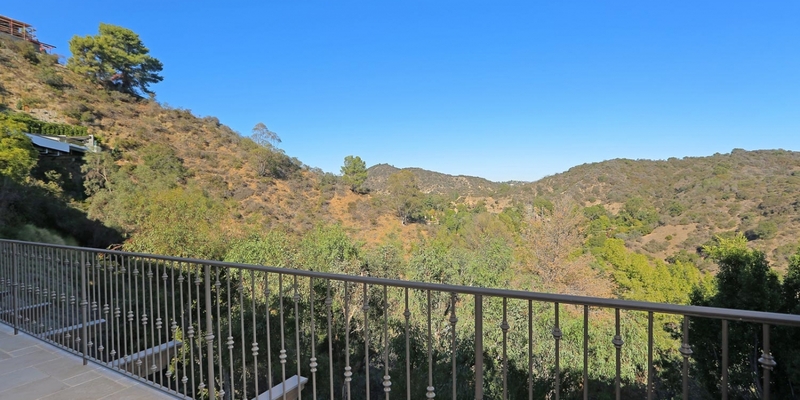 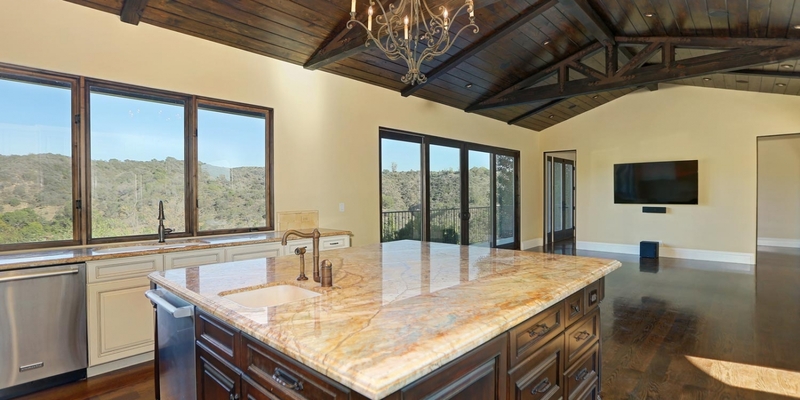 Approximately 4,300 interior square feet on a 10,088 square foot hillside lot with exceptional canyon views. 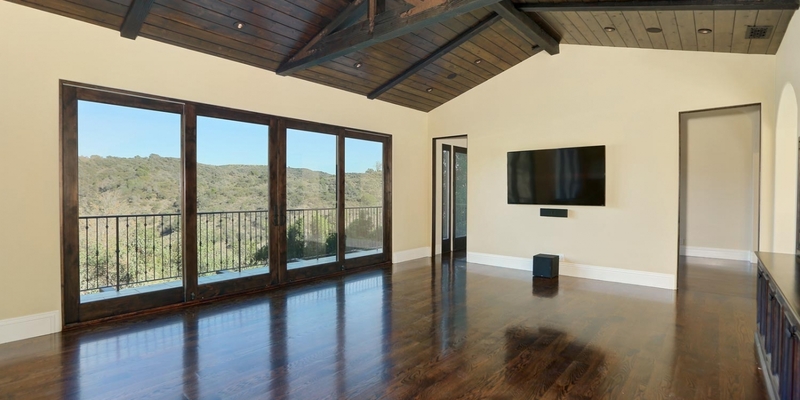 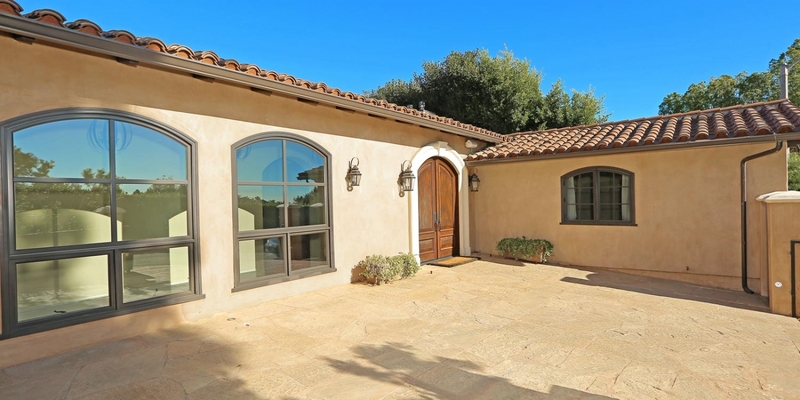 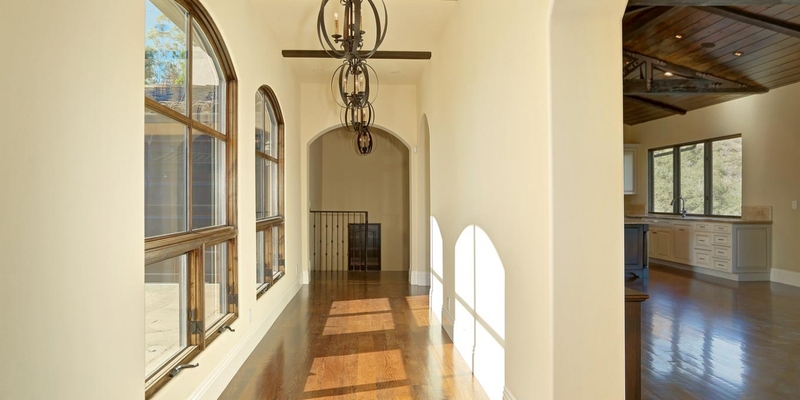 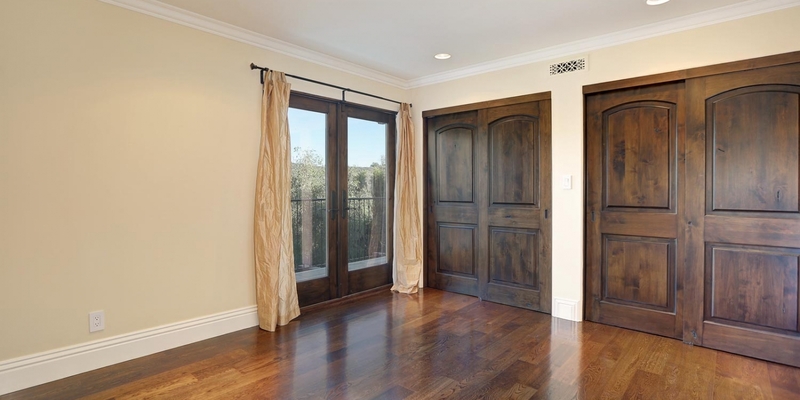 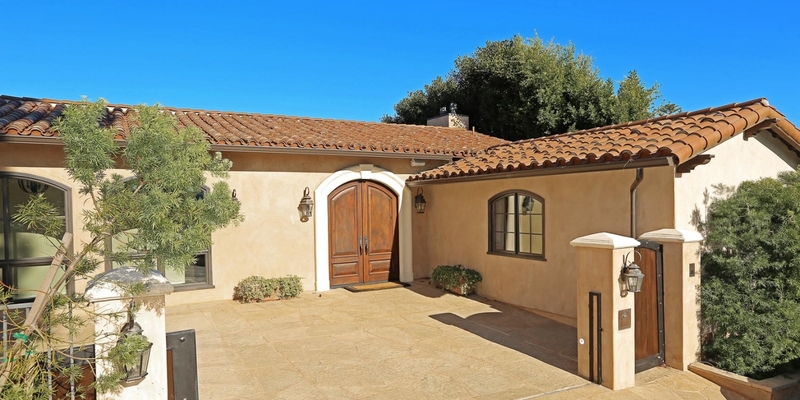 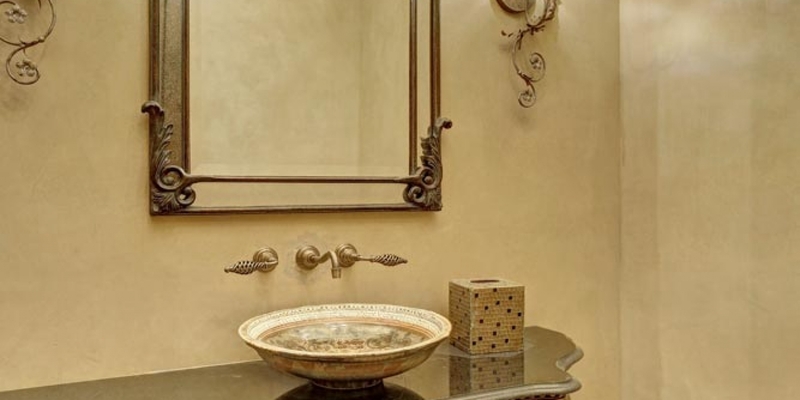 This magnificent Tuscan style home for lease in Bel-Air, accessible through the East Bel-Air Gate on Sunset Boulevard. 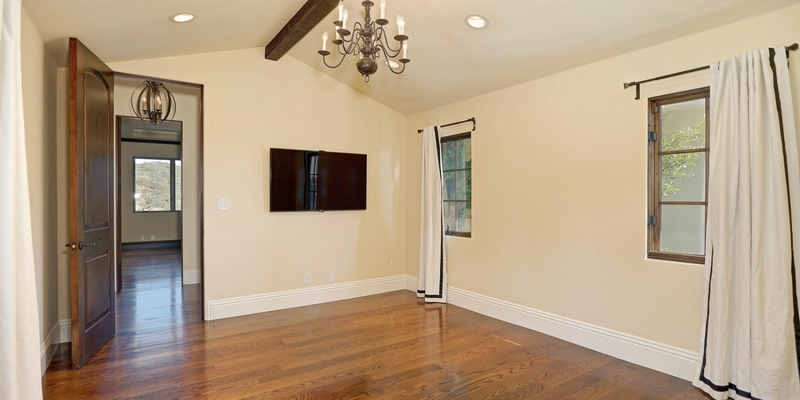 This home was completely renovated for custom needs from the studs up, updated with modern appliances (Wolf, Sub-zero, Frankie, Miele, etc). 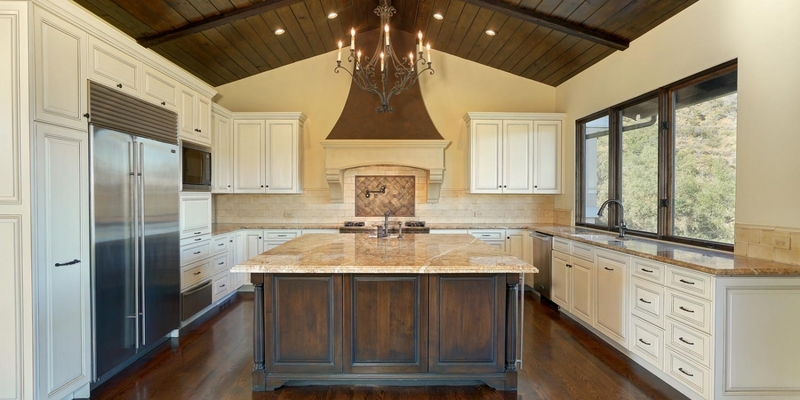 Awe at the gourmet kitchen lined with oak wood floors, custom Alder built-ins, custom trussed tongue, and groove vaulted ceilings. 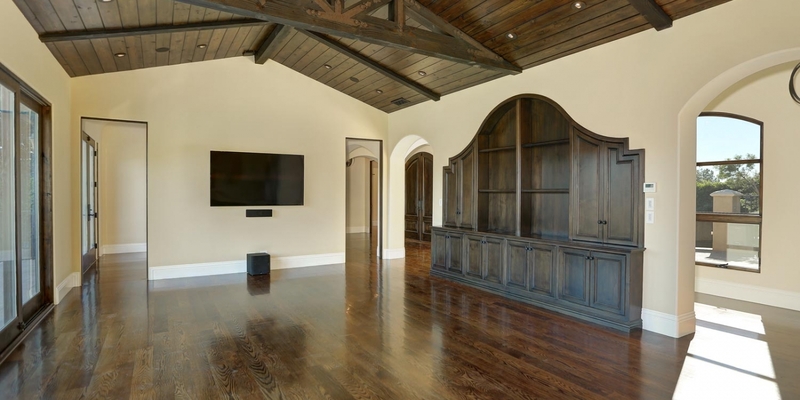 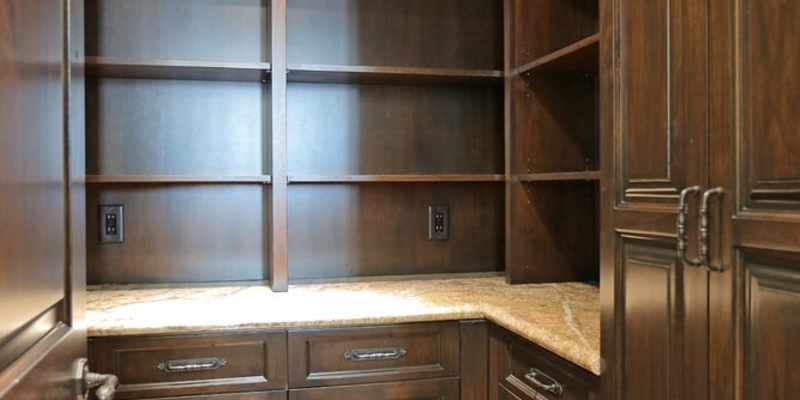 This amazing home is also fully wired for 7 point surround sound and comes with a custom wine cellar where you can store your favorite wines. 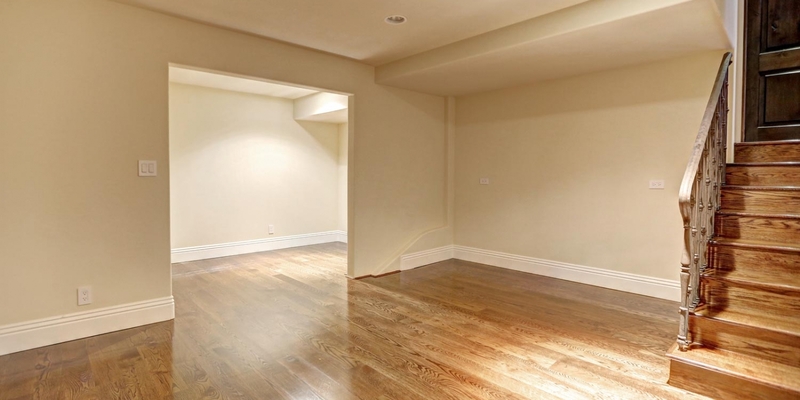 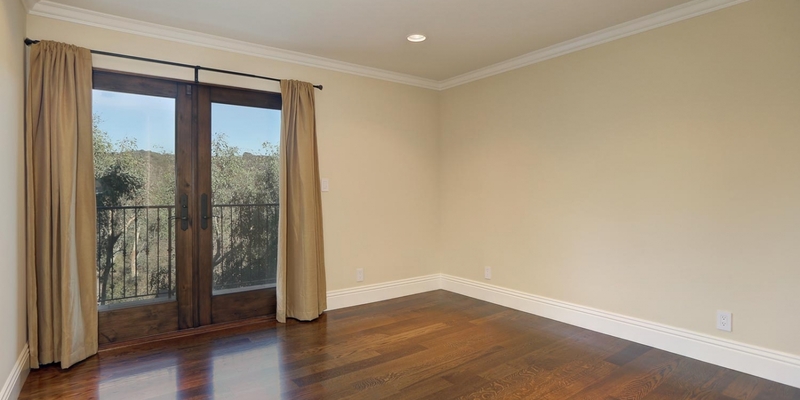 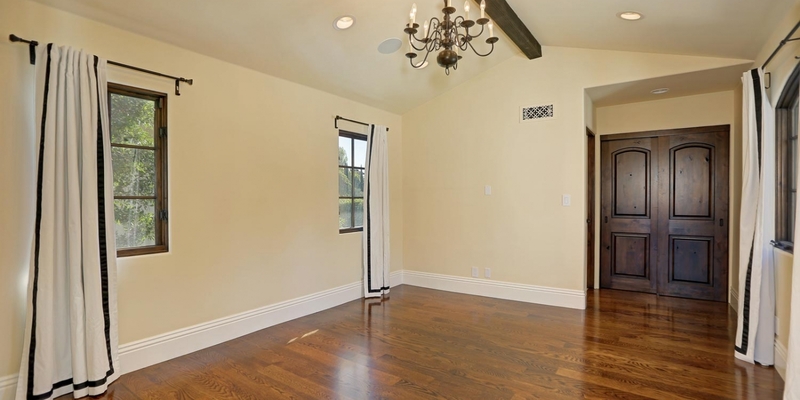 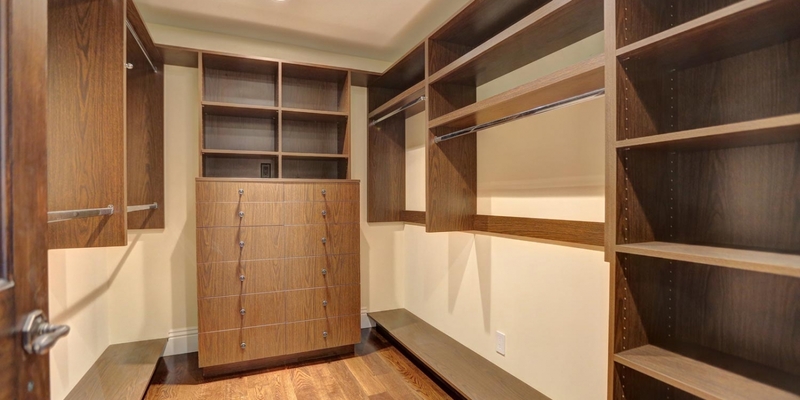 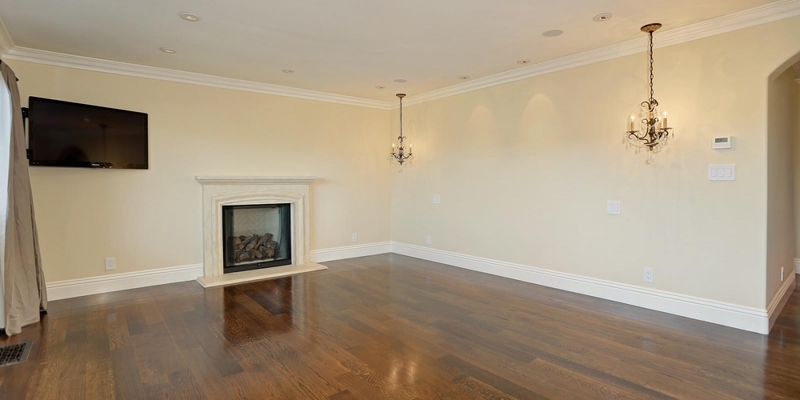 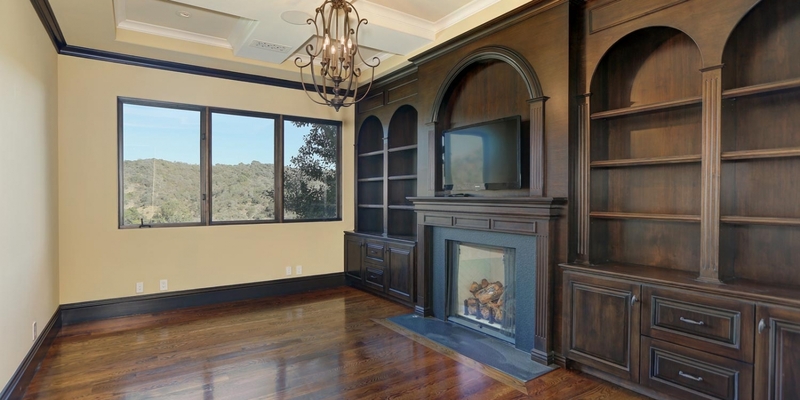 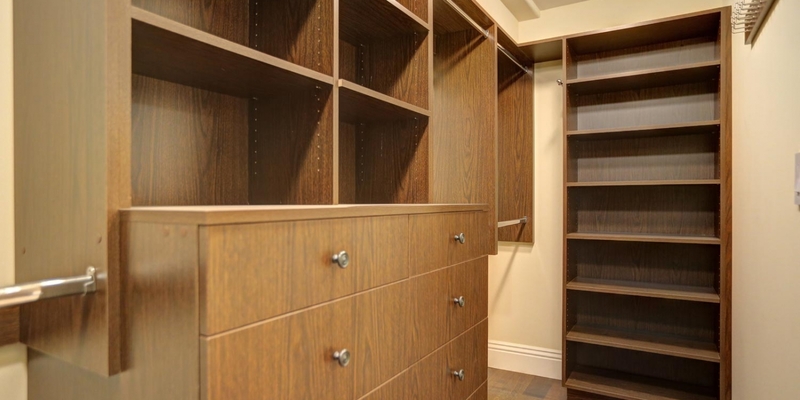 Included is a beautiful office/living room and a fantastic formal dining room complimented by coffered ceilings. 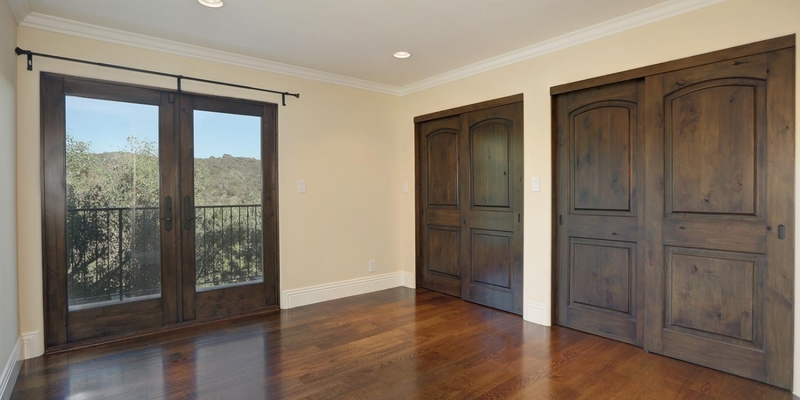 Marvel at the gorgeous view from the master bedroom complete with fireplace, dark-wood walk-in closet, and master bath that will leave you speechless. 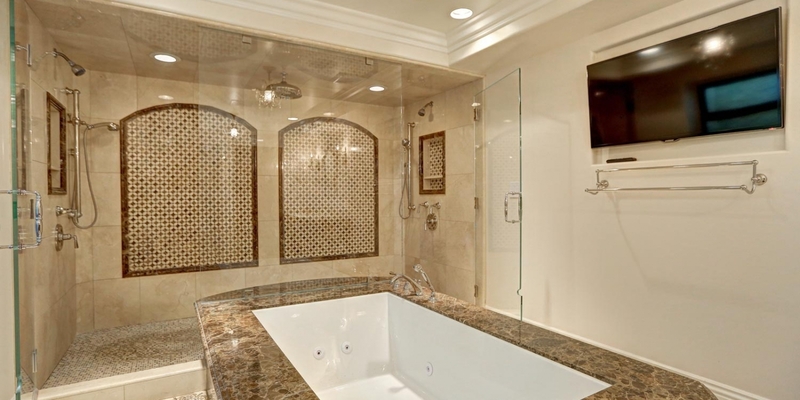 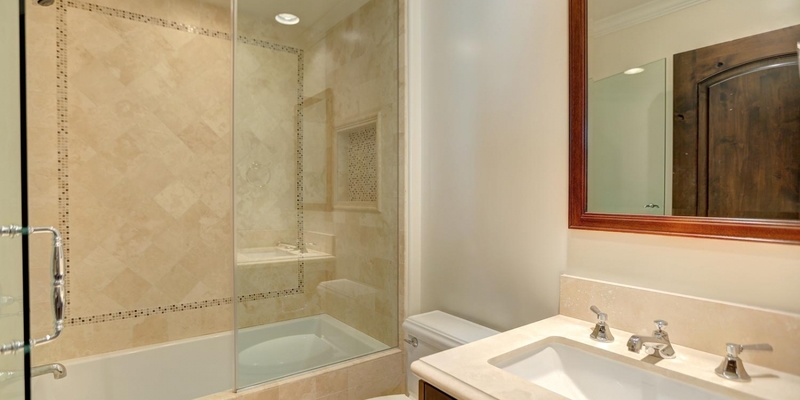 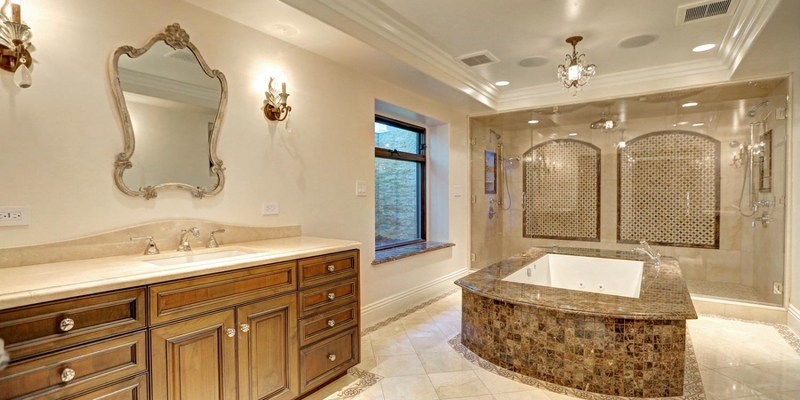 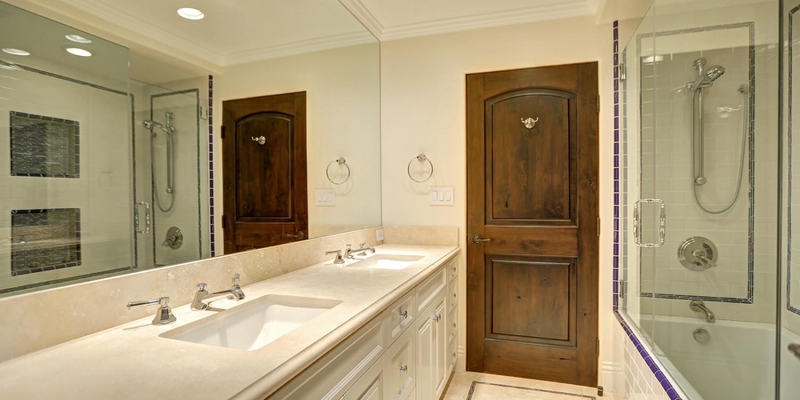 Spacious walk-in double shower with out of this world LCD lighting features, spa tub, decorated with exceptional tile-work. 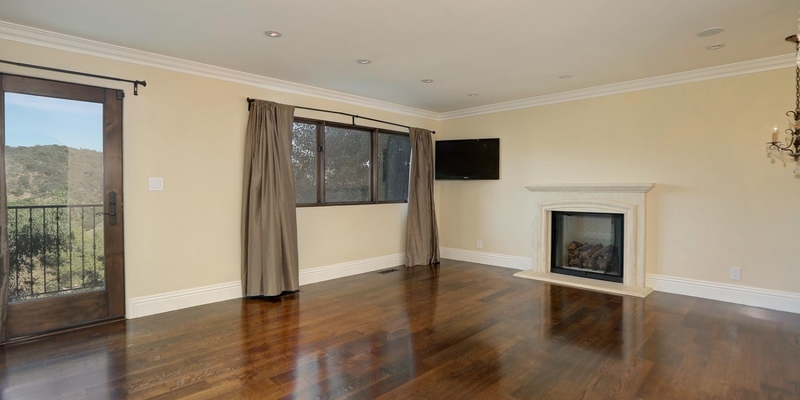 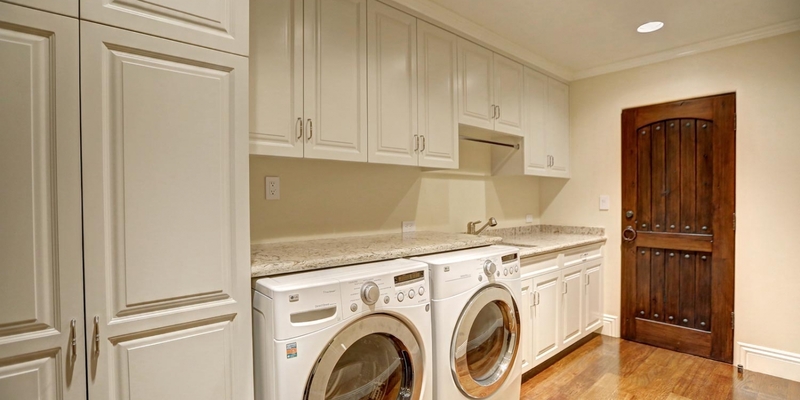 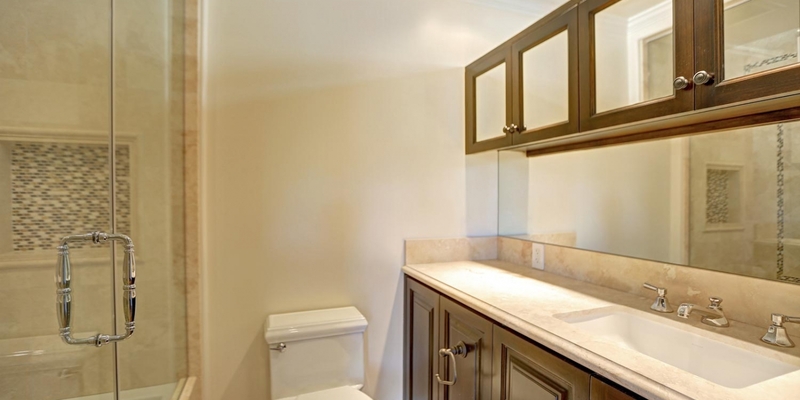 Lease Price: $11,000 per month with minimum 1 year lease term and available immediately. 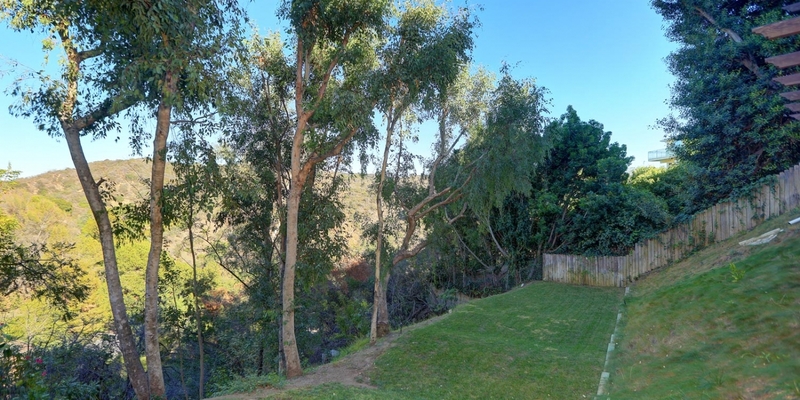 A wonderful gourmet chefs kitchen and open dining room are just some of he wonderful amenities at this terrific mid century home for sale in Bel Air. 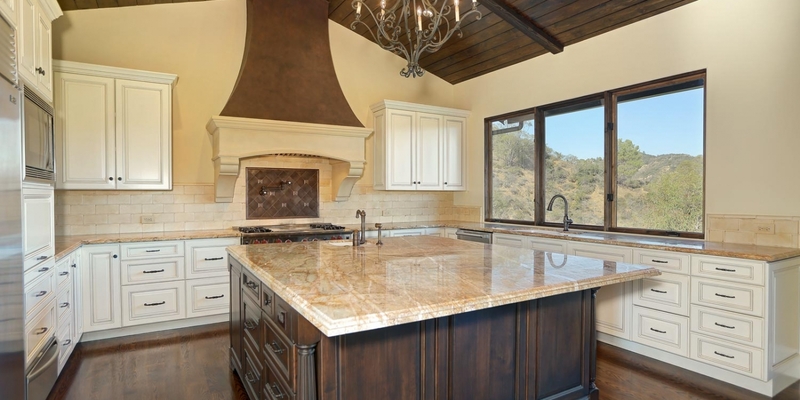 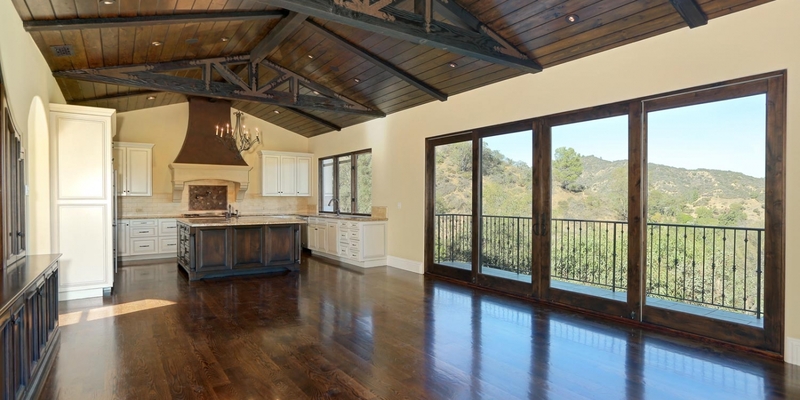 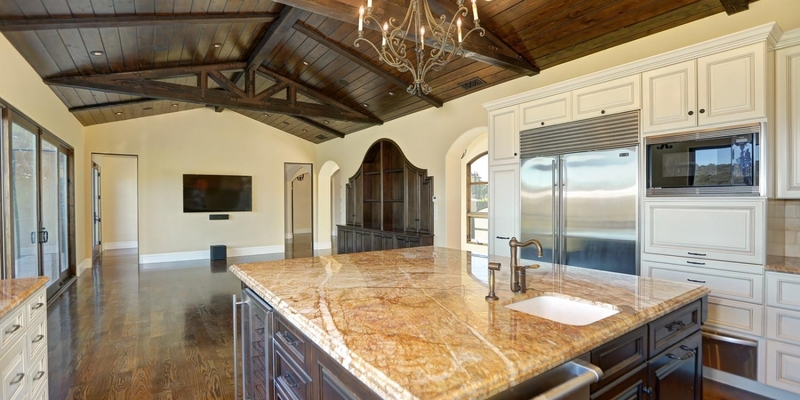 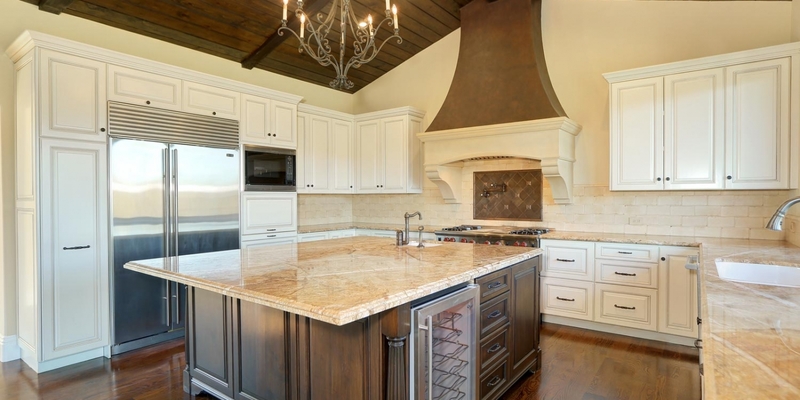 The stunning gourmet chefs kitchen at 10656 Lindamere Drive in Bel Air is a cooks dream. 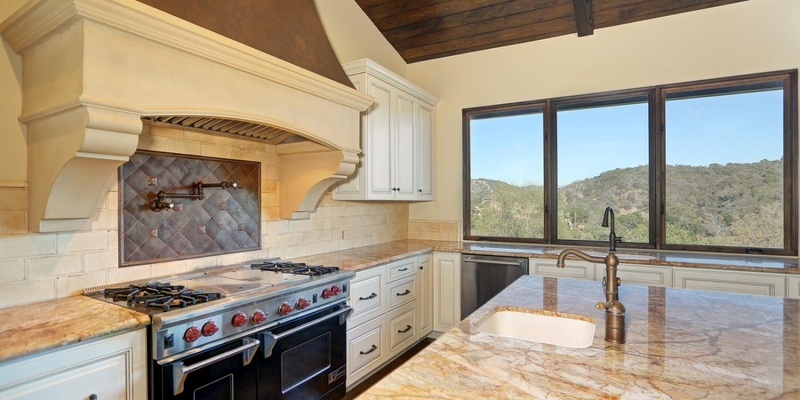 With all Viking appliances and Lapis blue counters.